The current environment holds huge potential for women’s financial inclusion in Egypt. 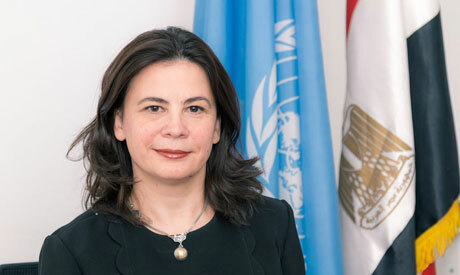 Egypt’s ‎National Women’s Empowerment Strategy and its accompanying pillar on Women’s Economic ‎Empowerment list women’s access to economic resources, through increased access to financial ‎services, as an important objective. Strong political will for regulatory reform is evident, particularly ‎with the approval of the Microfinance Law (No. 141 of 2014), which strengthens regulations on ‎microcredit provided by non-bank financiers allowing them to enter the formal microfinance sector. In line with the joint efforts implemented, NCW and UN Women Egypt have been advocating for ‎implementing and expanding a tested model on reaching the most vulnerable and marginalized ‎women in society through sustaining and transforming the social capital of Village Savings and Loans ‎Associations (VSLAs) into a broad base platform for financial inclusion of Egyptian women.